This is the fourth in a series about Faire Collection scholarship students. You can also read the previous stories of Tamia , Tatiana, and Elvis. 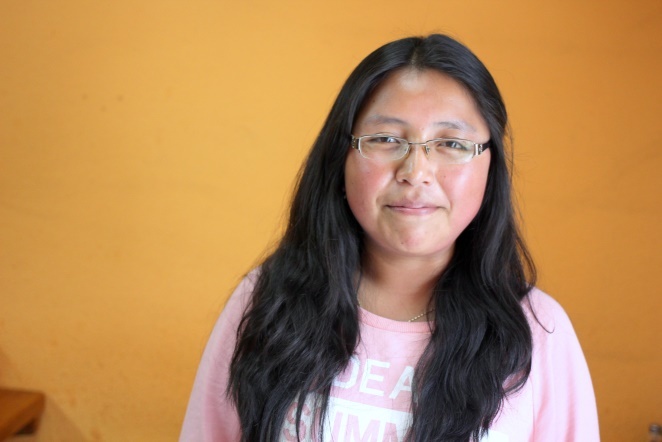 One of our more charming scholarship students is Blanca, the sister of our weaving family, Luzmila and Segundo. I particularly love her story because of how she isnt afraid of breaking gender stereotypes and flying past traditional expectations. Next Next post: not all who wander are lost….